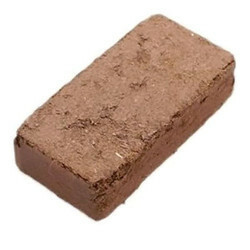 Our range of products include cocoblock- compressed cocopeat block-5kg, compressed cocopeat briquette coco brick and higro compressed cocochip block. Coco Peat is widely used as a natural soilless hydroponic growing medium by many hydroponic growers. Commercial hydroponic growers worldwide are producing excellent quality and high yield vegetables and cut flower crops using Coco Peat. 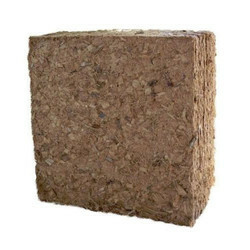 Coco Peat Grow Bags are now being replaced with Rockwool because it is efficient and does not harm the environment. These are cocopeat briquettes used for small-scale production as they provide ease and flexibility for a small scale setup. This is an easy to use option for hobby growers. 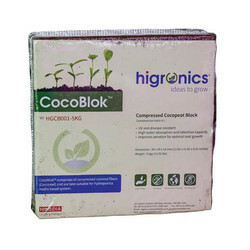 Higro Compressed Cocochip Block is made out of coconut husk which is the outer layer of the coconut fruit, consisting of long fibers and sponge-like pith particles. It protects the inner germinating seed by resisting excess saturation and salt. The husk, which naturally helps the coconut stay afloat in water, also stays uniformly moist and does not rot. Currently, it is used to grow orchids and cut-flower as it has significant advantages in terms of quality, consistency, and production cost. Looking for Cocochip Block ?